Many of the links on my blog are affiliate links. If you click through and make a purchase then I will receive a small commission. This doesn't cost you anything extra. It just helps me keep this lovely blog going. Thank You!! Ok, so my observation sounds simple enough but how do I actually not stop praying? Well praying isn't always getting alone with God, on my knees, with tears pouring down my face. Granted sometimes it is and that's good but to put it simply, prayer is just talking to God. When Paul says pray without ceasing it just means to carry on a conversation with Him throughout my day. Imagine your best friend being at your house everyday but you never say a word to her. Or maybe you do say a few things but it's only first thing in the morning for exactly 30 minutes. You set the timer or watch the clock, then you don't say another word to her the rest of the day. She's still there, she still talks to you and helps you out and loves you but you don't acknowledge her until the next morning. Chances are you wouldn't treat another human that way. We shouldn't treat God that way. Thank Him for a new day when you get up. Tell Him how good the coffee smells. Ask Him to bless your meals. Ask Him for your favorite parking place at Walmart then thank Him for it when you get it. Ask Him what flavor of yogurt to get when you can't decide between the 140 choices they give you. Yes, He wants to be that involved in your life! Big things, little things, and everything in between. We don't always have big important things to pray about. Why would the Bible say to never stop praying if God didn't care about EVERYTHING in my life? Thank you Lord for Your Word and the promises in it. Thank You for the reminder to pray without ceasing. Thank You for the concern You have for every area of my life. Please give me gentle reminders throughout the day to talk to You. Please don't let me forget that You are always near and that You desire to have that close relationship with me. I love You so much. In Jesus Name, amen! 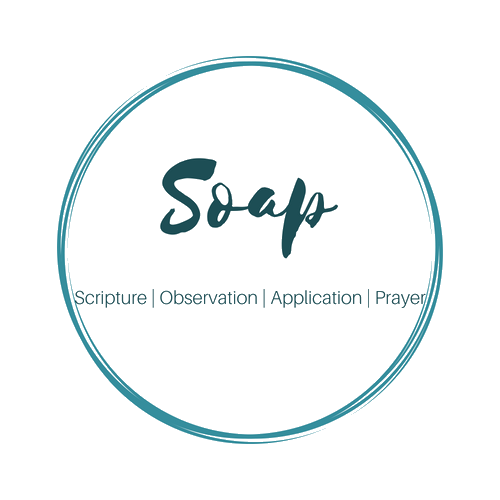 What are some ways that you pray? Do you stop praying or are you good about keeping open communication with God all day? Psalm 63:1~O God, you are my God, earnestly I seek you; my soul thirsts for you, my body longs for you, in a dry and weary land where there is no water. David was a man deeply in love with the Lord. He knew how necessary God was to his soul and body. He seems almost beautifully desperate for something only God can give. Get deep in the Word. The Word is God (John 1:1). Read, read, read. Learn and fill up on the bread of life (John 6:35). Read and fill up on the living waters (John 4:10). Partake of the only food that satisfies but leaves me yearning for more and more (Matthew 4:4). Make that time every day to dine with my Love (Revelation 3:20). Thank you Sweet Savior for your love. Thank you for another day. Thank you for the yearning deep in my soul for you. Please help me focus on you and you alone. Please help me make time daily, hourly if needed, to eat and drink of your living word. My whole being longs to be filled with more and more of you. Please remind me that that void is for you and you alone. Satisfy me with your love. You are so worthy and I am so grateful to be yours. I love you. In Jesus name, Amen. Let's talk...do you yearn for God the way David did? What could you do differently to make your relationship with the Father better/stronger. Tell me about it in the comments. Don't stop doing what is good. I will reap what I have sown, in God's timing, as long as I don't give up. Sometimes it's hard to keep doing and keep doing and keep doing what I know is right when everything seems to be going wrong around me. Sometimes I start to wonder if what I'm doing IS right because I'm not seeing these promises fulfilled, not seeing my harvest come in. It's in these vulnerable times that the devil tries to work on me. he'll tell me to stop doing all these things the Word tells me to do because I'm not seeing any results. That's the exact moment when I need to stand firm and press on. It might not look like things are going to turn out ok but looking back I can see that they always have. God is always there, always here. 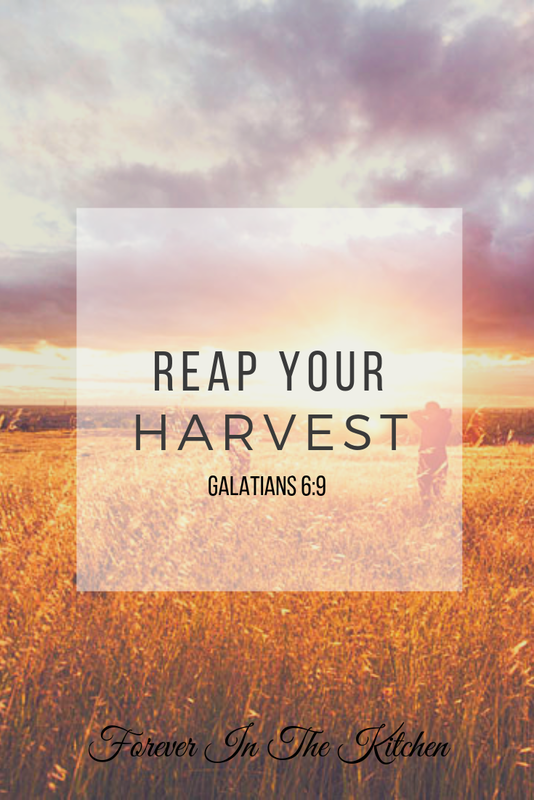 I need to rest in the fact that God knows the proper time for my harvest to come in, not me. I just need to make sure I'm doing good, the best I know how, and just keep on keeping on. Then my harvest will be great. Thank you Lord for encouraging me this morning to keep doing good. Thank you that when I feel like giving up you are right there with your Word to give me some truth to hang on to. Please help me persevere. Help me keep doing the good and right things your Word says to do. Help me to put my trust in you to know the right time to bring in my harvest. I love you so much Lord and I thank you for taking care of me. Tell me I'm not alone. Tell me I'm not the only person who wonders if doing the right thing is really worth it at times. I'd love to hear your thoughts in the comments. Earn FREE Money With SwagBucks! I LOVE SwagBucks!! Do you use SwagBucks yet? If not then you are seriously missing out on FREE money! I know, I know...the words free and money in the same sentence are usually to good to be true. Not this time! SwagBucks is a search engine powered by Google that allows you to earn points just for searching. They offer various prizes and gift cards that you can redeem your points for. My favorite is the $25.00 Amazon e-gift card you can get for just 2200 points. Right now I have over 2100 points waiting on me. They also have a referral system that allows you to earn matching points! This certainly won't get you rich, but I have averaged $5.00 each month since I started and that's with only one referral. (Thanks, Mom!) Not a bad payday for something I used to do for free! Want to join SwagBucks too? Just click through the banner at the top of this post or use the widget on the right side of my blog. As a soldier, I can put on the whole armor of God (Ephesians 6:11). I can get dressed all nice and feel safe. The devil might will attack me and I might stumble a bit but won't be completely brought down because of my protection, my armor. In this way I will live a mostly safe life. But will I live a victorious life (Psalm 60:12)? 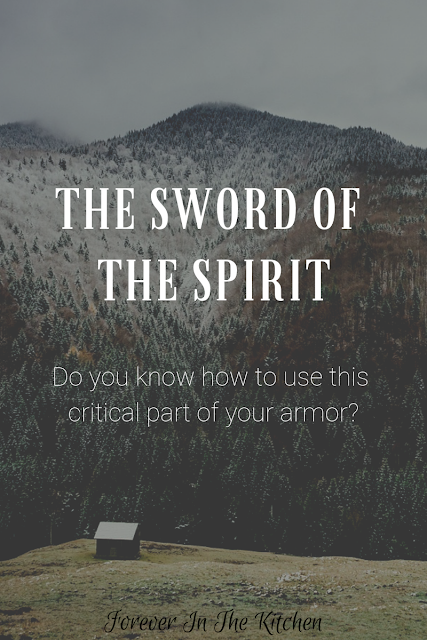 Can I live a victorious life without using my weapon? Sure, I can stand there and take the punches because I'm wearing my helmet, my breastplate, and my belt. I even have my shield up. 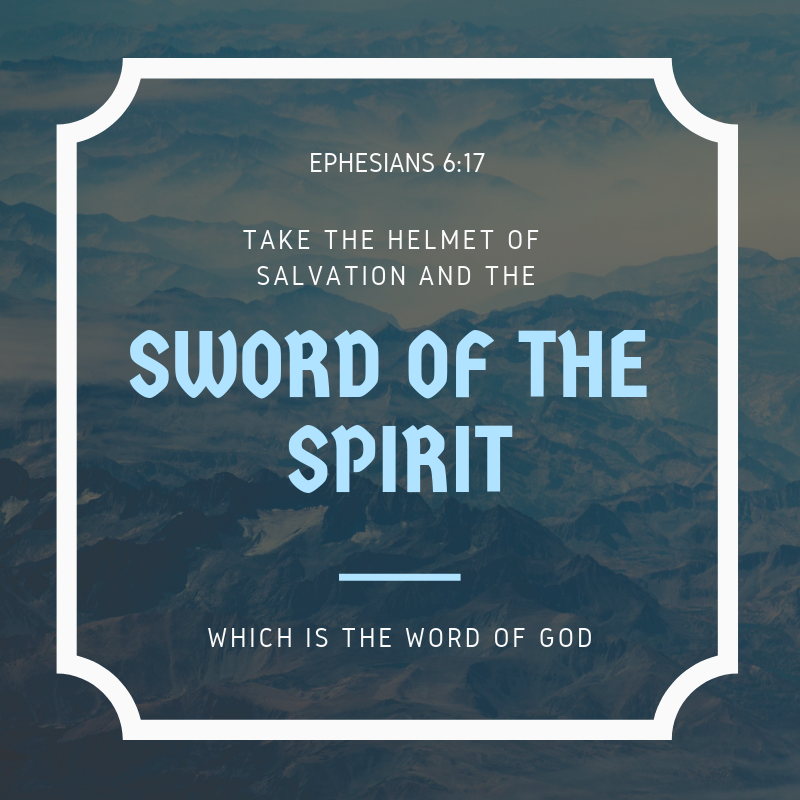 But if I don't use my sword, the Word of God (Ephesians 6:17b), what's to stop the devil from coming back again and again? No soldier ever won a battle by just standing there and being firmly planted. Soldiers, especially in God's army, have to fight back. Not with screaming or crying or fit throwing, but with the Word of God, the only weapon I've been given, the only weapon I need, which is sharper than any two-edged sword (Hebrews 4:12). That was all Jesus needed, all he used, when He was tempted in the wilderness. Three times He said, "It is written..." (Luke 4:4, 8, 12). If that's all Jesus needed then it's all I need. But I have to learn how to use it. No soldier ever went into battle with a sword or gun that he had never seen or touched before. (Ok, maybe a few have but you know what I mean.) Soldiers are trained. They learn their weapon and how to use it effectively. We as Christians need to learn our Weapon, the Word. 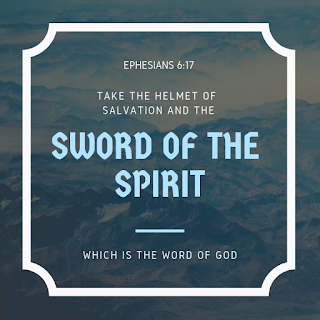 We need to spend time with it, to learn what it says about fighting the devil, and plant those verses deep within our hearts so that when the time comes the Holy Spirit can bring them to our memory (John 14:26) and we can use them against satan's attacks. Oh and attack he will. Are you ready? Do you know, really know, your weapon? Do you have any verses memorized so that when the time comes you can fight back, stab the devil with God's Sword? I feel convicted to start memorizing Scripture. I don't want to be caught off guard, just standing there with my armor on but with no weapon in my hand, in my heart. Won't you join me? What are some of your favorite verses that you have committed to memory? What are some ways that you use to memorize scripture? I'd love fresh ideas to help me out on this journey. Please share!! Instead of getting caught up in the busyness of everything going on around her (all the shepherds coming to meet Jesus, the stress of learning to breastfeed, all the animals and their smells...lol), Mary treasured the moment. She kept it in her heart and thought deep about the blessings she had received. I need to take a step back, get still with God for a moment, and meditate on all the gifts He has given me, especially when life gets crazy and I feel like I just might lose it. All these seemingly little things God does for me daily are treasures for my heart, tiny gifts from The One who gave it ALL for me. If I am thankful for these gifts, meditate on these gifts, store these gifts in my heart, then I can open up my treasure chest when things seem rough and I will be reminded of the goodness and love of God. That love is what I need to keep going. Sweet Jesus, how I love you. Thank you, Lord, for Mary. Thank you for sending your Son. Thank you for the innumerable blessings you give each day. Help me to see these treasures as such. I don't want to miss seeing you because I am focusing too much on what I consider to be bad. Help me see you and your love in everything. I know you are in every situation. If I look purposefully I will find you. Thank you for all these blessings to treasure in my heart. If you're like me then you know how important it is to save money. Sometimes, trying to save money is a full time job. I've got four kids, a loving husband, 3 dogs, a cat, a chinchilla, and I don't even know how many fish. I need as many things in my life as possible to be easy. I find that when it comes to saving money there are many many easy ways to save. The downside is that the easy ways sometimes don't save you a lot. However, I have learned in my frugal adventures that it's the little things that really add up. In the long run, it's the small things that are the easiest to stick with, easiest to do, and eventually add up to big savings. 1. Turn down the brightness on your cell phone. Unless you use your phone in the bright sunlight during the day, you can probably get away with turning your brightness down to the lowest level. This uses less battery power and in turn you need to charge it less often, saving you electricity. 2. Turn off your porch lights as soon as you get up. I know some of you probably don't leave yours on all night but we do, for safety reasons. (My husbands truck was broken into one night as some dope heads did a string of break-ins to feed their habit!) If you're not leaving your house in the dark of early morning then you probably don't need your porch light. How many times do you get ready to leave the house after lunch only to find that your porch light is still on? That has happened to me one too many times. I am trying to be more careful to turn them off as soon as I get up. 3. Sign up for and use free samples. All kinds of companies offer all kinds of samples these days. 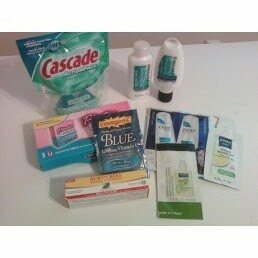 From shampoo to dish washing detergent to feminine care products. This picture shows just a few of the samples I've received lately. 4. Whenever you see a red light or a stop sign coming up, take your foot off the gas pedal. This one might be hard for some of you. I'm also not promising this will help you make friends or help the driver behind you control his/her road rage. But, get in the habit of doing this, even if you are far away. The less you press the gas, the less gas you use. The earlier you get your foot off and start slowing down, the less wear you put on your brakes. Essentially you are saving gas and breaks. 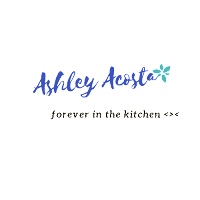 Double duty savings!! Cha-ching! 5. Don't preheat your oven and/or turn it off early. I don't use my oven as often as I would like but I do like to maximize it when I do use it. Especially in the winter time. Lets start at the beginning. A lot of recipes call for pre-heating. While I do believe this is important in baking I don't think think you have to do it for everything. Most casseroles will still cook fine if you put them in a cold oven then turn it on. Another way to save is to turn it off early. If you peek in at your rolls and see that they only need a couple more minutes then go ahead and shut it off. It still has enough heat in it to finish cooking. Or perhaps you have a dish that needs cheese sprinkled on top at the end. There should be enough heat left to melt cheese too. 7. Re-use the plastic bags you get at the store. I try to bring re-usable bags to the store as often as I can but sometimes I purposefully leave them at home so I can replenish my stock of plastic bags. Use them to line bathroom and bedroom trash cans. Use it on your hand as a glove to pick up your dogs poop. Keep a few in your car to fill with trash or other things that need to come in. Use them on your hands as gloves when cutting hot peppers. Keep them in the diaper bag so you'll have somewhere to put those dirty diapers. If you recycle plastics then you can fill one of these bags up and toss the whole thing into the bin. Make a kite. My girls have tied the handles together with a long piece of yarn and took them outside on a windy day. Cheap fun! Now it's your turn. 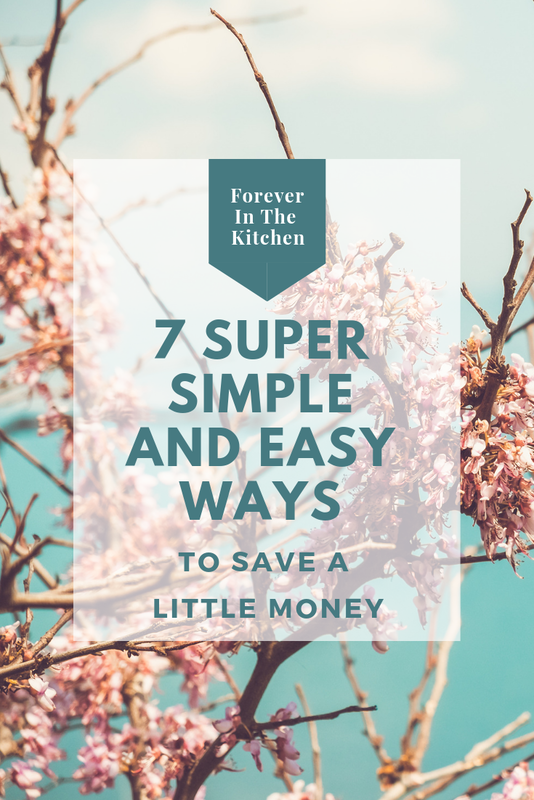 What are some easy ways that you save a little? 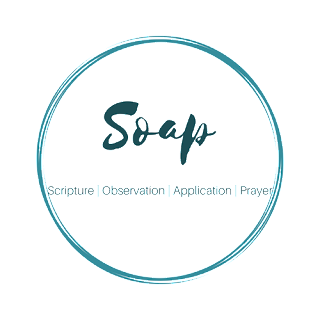 I am a happy wife and homeschooling mom that is deeply in love with the Lord. I strive to do everything for the glory of God. Some days are easier than others, however I know that I am His child and that He forgives. Won't you join me in trying to live this life For His Glory! 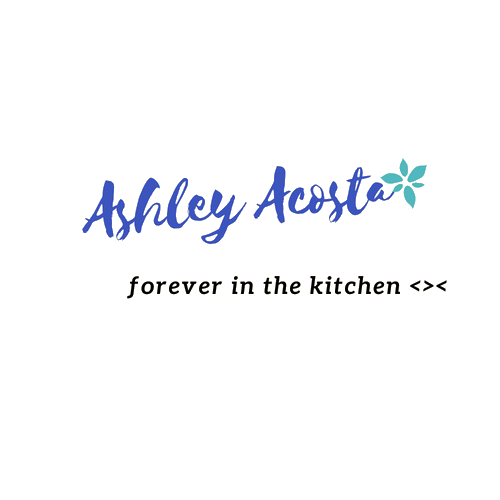 Ashley Acosta, 2011-2018. Simple theme. Powered by Blogger.